Home / Murtovarkaus / Miten suojata kotia murtovarkailta? As the holiday season approaches, many homeowners wake up the question of how to protect the property during your stay. No one wants to come home from a relaxing holiday just to find out that all the valuables have left their home. 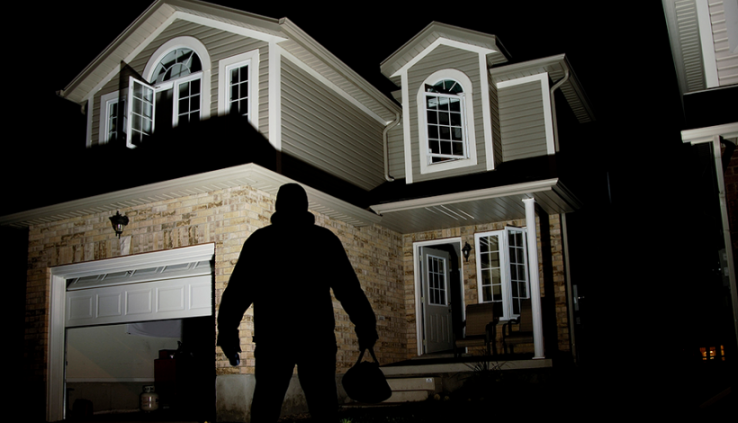 Most of the murders occur especially in July and August, but modern burglars do not care whether it is day or night. Police have come across many instances where rogue thieves have broken home in the middle of the day and no one has noticed anything. In order to avoid unpleasant surprises, homemasters seek to protect their property in many ways. In order to be able to secure your home, you must first know how the burglars work. Usually thieves observe their possible subject hours or days before the planned breakup. So they make sure there’s nobody in the home. Observation can be physical or modern, it can also happen through social media. Updating hard-of-life accounts and sharing privacy details on the internet can come to a halt later. Also, it is worth looking at your home with your thief’s eyes and thinking about the weak points of your home security. First of all, it is important to make sure that your home’s basics are fine. Windows and doors must be safe and sound locks. 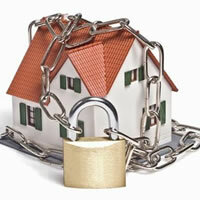 High quality lock is a small investment in home security. If you are away from home, then the most sensible option is to install an alarm system. There are two types: self-controlled and supervised by professional companies. Self-controlled people can buy almost anything from home appliance and they have to be installed and programmed by themselves. The responsibility for their use and the responses to the alarms remain entirely for the homemate’s control. The alarm systems sold by professional companies pay more, but a small monthly fee is secured by a 24-hour emergency center. The task of the center is to respond to alarms either by contacting the owner, by alerting or by sending his own guard site on the spot. Today, fire alarms and humidity warning devices can be added to all alarm systems, so they are extremely versatile security devices. They react to home-based traffic, door and window vibrations, and possibly smoke and water damage. You can add many other special features like the panic button and the treble alarm. Thieves hit the empty homes, so scaling a home into a habitat is an important step to safeguard. With a neighbor, you can agree, for example, to get mail, because the stuffy mailboxes are an excellent message for thieves from scratch home. At home, you should use timers to light the lights at a certain time every night. It is also worthwhile investing in lighting in outdoor areas, and in this case, an outdoor light, especially a motion detector or a light sensor, at least attracts the neighbor’s interest. Also unattractive lawn tells you about absentity, so even in this case, agreeing with the neighboring grass bushing is a good solution. In addition to the grass crane, in winter the snow unfortunately tells immediately whether there are residents in the home or not. It is a good idea to have a neighbor’s help and ask them to do snowshoes or at least follow the trail around the house. In addition to light, sound is an effective way to keep unwanted visitors away. In addition to light timing, radio and television can be installed to operate at certain times during the day. Curtains should in no way be pulled in front of the windows, as they give the thieves peace of mind. Only the bedroom should be protected from outside eyes. The thieves meet to look at the object from the windows, so behind the windows should not leave the most valuable property. The home must be as unattractive as possible. In front of the window, it’s good to set a scene that looks just like the owner would just be in another room. On the kitchen table, it is good to leave the newspaper open and in the aisle shoes with a blindfold. You can set a dish and a cup at the sink. If an alarm system is installed in the home, it must be displayed visibly with a sticker and notifications. The home key should also not be placed in familiar places such as a doorbell or a pot, as thieves know all the typical caches. You can take photographs from your home so it is easier to prove after a theft before theft before the breakup. These pictures can by no means be presented in social media or on the Internet, as they are automatically good sources of information for the perpetrators. The property can also be cataloged with photographs and kept in a safe place. The list and pictures must be updated regularly or as needed. Kotivakuutus on varma tapa saada korvaus varkaiden viemistä tavaroista. Tosin ne eivät tuo takaisin tärkeitä esineitä, muistoja tai murrosta muodostunutta mielipahaa, mutta vakuutus korvaa melkein kaikki rahalliset tappiot. Jotkut vakuutusyhtiöt antavat lisäksi alennusta, jos kotiin on asennettu hälytysjärjestelmä. Nimittäin tutkimusten mukaan hälytysjärjestelmillä varustettuihin koteihin ei murtauduta melkein koskaan. Järjestelmän kattavuudesta riippuen alennus voi olla jopa 20 prosentin luokkaa, joka on merkittävä etu. Hälytysjärjestelmän kanssa yhdistettynä vakuutus turvaa kodinomistajan rentouttavan loman. Holidaying and packing is a stressful time. Sometimes the timetable is particularly tight, so the home is going to speed up and something can be forgotten. Relax your starting position and force yourself to focus on security auditing. In order to support the output, you can design a checklist that you are going through before locking the front door. No one wants to sit on an airplane thinking about the fire and the door locked in the back lock. Before leaving your home, walking on foot is usually the best way to inspect the deficiencies. All windows and doors must be locked, including those in the yard.